A new version of the fabled legend of Trystan and Isolde, Twilight of Avalon is a hearty brew of goddess magic and ancient text, told from the point of view of the surprisingly wise and adept Isolde. Elliott’s debut novel, first in a trilogy, relies on the earliest written verses of the legend, yet brings us vivid characters, witty and wry, with modern complexities and motivations. 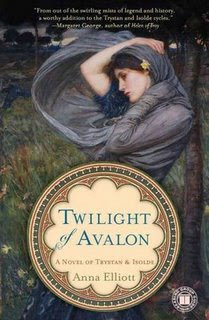 Written in the tradition of Marion Zimmer Bradley and Mary Renault, Elliott’s Twilight of Avalon humanizes the legendary characters of Trystan and Isolde, translating them from the iconic, bigger than life, tragic figures to clever conspirators on a dangerous, breathtaking adventure. The characters’ real courage and skill, coupled with the magical heritage of Avalon, weaves a new bright texture to the tapestry of this medieval lore. 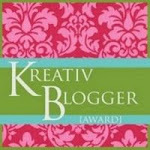 Review by Kate Farrell, Author, Girl in the Mirror. Anna Elliott is willing to talk via speakerphone to book groups about her novel. I enjoy meeting authors at books signings and being able to ask them about aspects of their book or the writing process. However, it is not possible that every author I am interested in will be able to visit my local bookstore. So I appreciate it when authors are willing to make themselves available using our modern communiation technology to "virtually" meet their readers. Speaking of the legend of Tristan and Iseult...a few years ago my friend Kate Farrell and I attended the West Coast premiere of Patrick Ball and the Medieval Beast's The Flame of Love: The Legend of Tristan and Iseult. It was a mixture of spoken word and medieval musical accompaniment. It was beautiful. Patrick Ball is a world renowned harpist and his website now has audio clips from that show. Patrick has many CDs of his shows including some dedicated to the music of the famous Irish harpist Turlough O'Carolan. He has a busy touring schedule and you should check it to see if he is coming to a venue near you. Thanks for the lovely review! And I am definitely thrilled to talk to any book clubs--I love getting to talk to readers and hearing their thoughts and questions. Oops, I only now realized I misspelled your last name. Sorry about that. I don't know if you've ever read the novel Pope Joan or heard of Donna Woolfolk Cross, but she is a real success story. She has made a commitment to talking to book clubs. She has done this for the last ten years and this is the reason her trade paperback was in its seventeenth printing. That is until it was just re-released with some slight modifications this month in advance of the release of a major motion picture based on her novel. Donna is fabulous and an inspiration to me. I wish you well with the success of your book. Linda, did you ever see the recent movie based on the legend? I could never really get into the characters. The novel sounds interesting. i don't know much about the actual history surrounding the myth. Did you feel the novel gave a good sense of historical accuracy from that period?